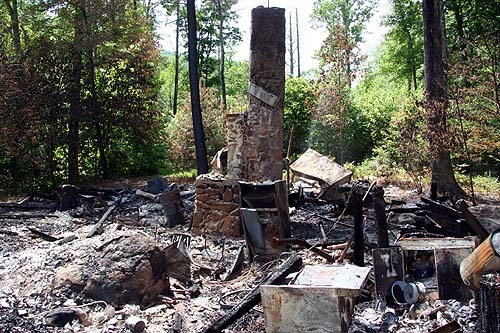 I took these photos on Tuesday, June 7, of the fire that destroyed Cabin 1 sometime between Wednesday evening, June 1, and Sunday morning, June 5. Facing up-river, from the corner of what used to be the 1C kitchen; the riverbank is on the left. The refrigerator is still upright; the white stove lies on its front, and metal cabinets and trash cans are to its right. Facing down-river, from the corner of what used to be the 1A bathroom. The riverbank is on the right, and Cabin 3 is off in the distance on the left. The shower is the large rectangular object, and a sewer vent still stands. The remains of the yellow cart for camp renters to move their personal belongings are at the right side. Facing the fireplace. The large object on the left center of the screen is the shower. 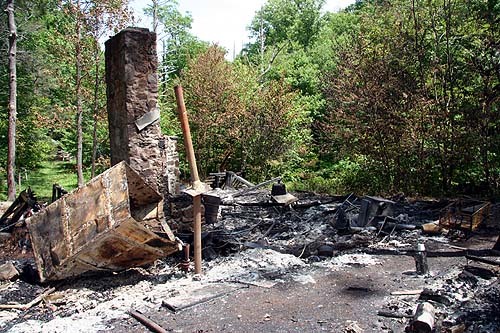 The 55-gallon drum was the woodstove in the fireplace, the water heater is on the right edge. 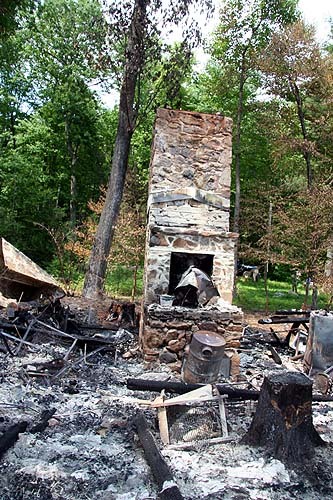 A propane grill lies to the left of the burned stump that years ago was a hemlock growing through the porch, before the blight. 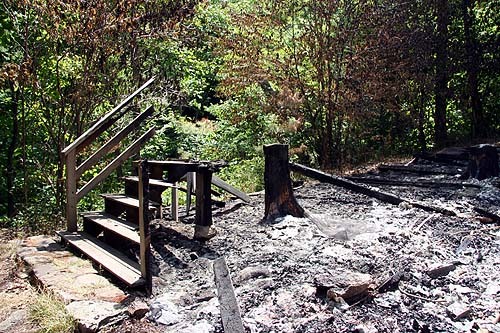 The haunting front porch steps lead to nowhere. The river edge is in the background. 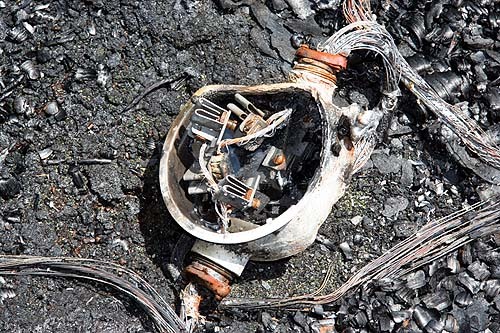 The remnants of the electric meter. 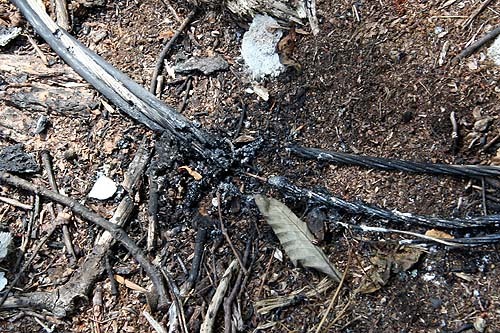 A wire that apparently helped the investigator conclude that lightning was the likely cause of the fire. The metal is charred and crumbled apart.